duck it up on your own! Want to give a message of kindness but can’t make it to a meetup? Duck yeah! You can still be involved. Finished product, minus the kind message. Pin and pen at the ready! Create and spread your own positive messages! Print the above tags and write a message on it. Do as you would after a meetup: Attach to a duck gift and give to friends, family, or strangers. 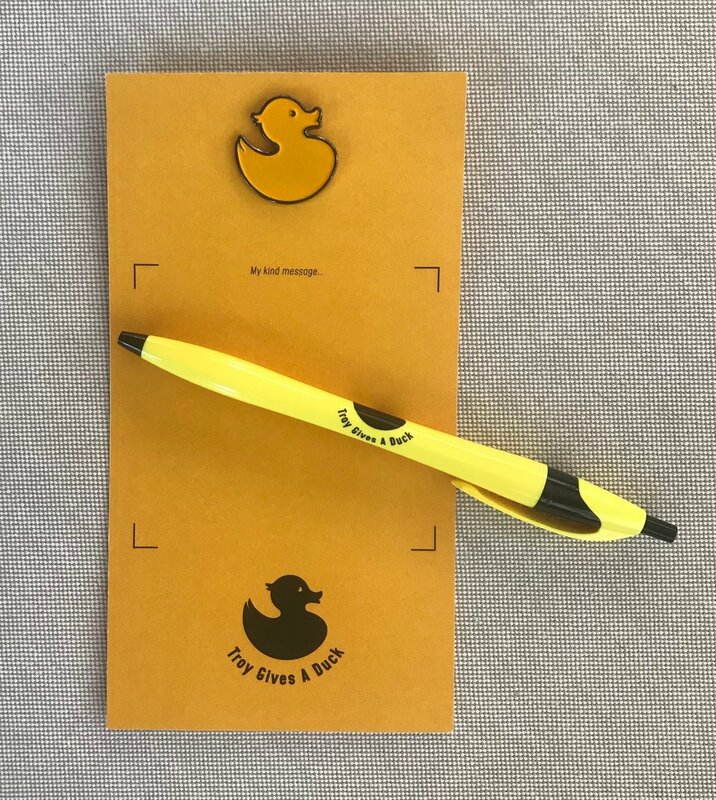 Order Troy Gives A Duck duck gift products here or attach the message to your own small gift like a pin or ribbon.